I can write almost any smart contract you want and deploy it on Ethereum network. 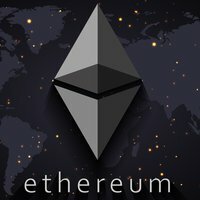 I can build web services that can interact with Ethereum blockchain. These services can send transactions and call smart contract methods. I can create a Non-Fungible Token smart contract ERC 721. I can be used to create games like CryptoKitties. This project is a complete project with one ERC-721 Non-Fungible-Token smart contract. Some web services for contract meta and registering the game on OpenSea platforms with details.